Not filed your IT return yet? Not to worry! 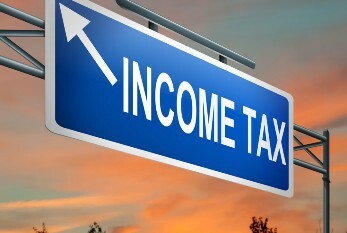 The due date (July 31)for filing income tax return is fast approaching and income tax payers are prone to press the panic button due to the fear of having to pay penalty for late filing or not filing IT return. The due date (July 31)for filing income tax return is fast approaching and income tax payers are prone to press the panic button due to the fear of having to pay penalty for late filing or not filing IT return. Well, there is no reason to panic as the provision for penalty would come into effect from April 1, 2018. Let’s take a look at Section 23F which specifies the penalty to be imposed for default in filing IT return. (2) The provisions of this section shall apply in respect of income required to be furnishedfor the assessment year commencing on or after the 1st day of April 2018. Now, as per the Section 23F, the penal provisions would be applicable with effect from April 1, 2018. Hence, taxpayers who have not filed their IT return for FY2016-17 need not worry. They can file their returnon or before the end of the assessment year, i.e. by March 31, 2018. Also, if the total income of the taxpayer does not exceed Rs 5 lakh for FY2017-18 and onwards, the maximum penalty would be Rs 1,000.However, although the penalty is not applicable for FY2016-17, the IT department imposes penal interest at the rate of 1% per month on the amount of income tax due from the taxpayer.